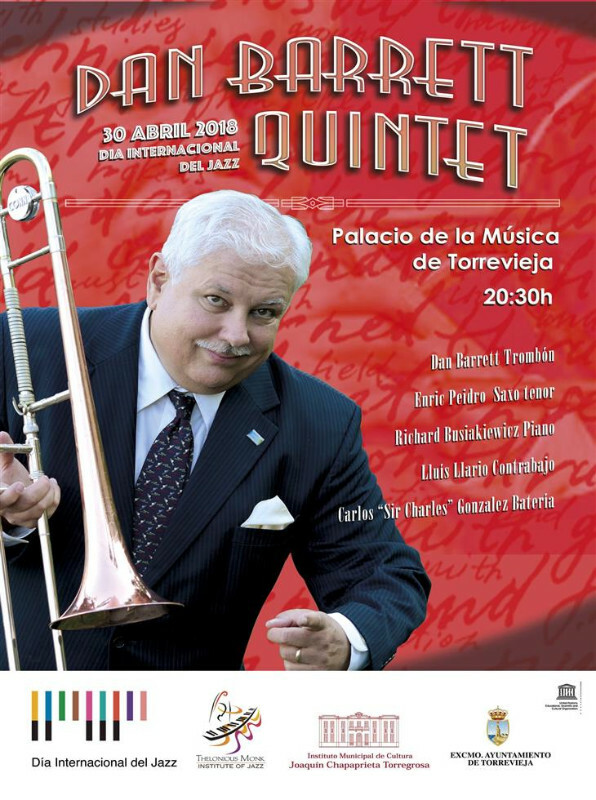 On the occasion of the International Jazz Day this coming Sunday April 30th, the Municipal Institute of Culture of Torrevieja is organizing the performance of the Jazz Quintet "Dan Barret Quintet" which will be taking place in the Palacio de la Música at 8:30 pm. Dan Barret, a California musician and arranger, is undoubtedly one of the most important jazz trombonists on the international scene, with an impressive career of more than a hundred recordings. He has been part of bands such as Benny Goodman, Woody Herman or Buck Clayton, and has recorded with Rosemary Cloony, Mel Tormé or Tony Bennet among many others. He has also made numerous appearances as a soloist and his trombone has had a prominent role in film soundtracks such as Francis Ford Coppola's "Cotton Club" and Woody Allen's "Bullets over Broadway","Everyone Says I Love You" and "Mighty Aphrodite".